I hand held this 13 second exposure during a night time lightning storm. I was pretty stoked about the results. 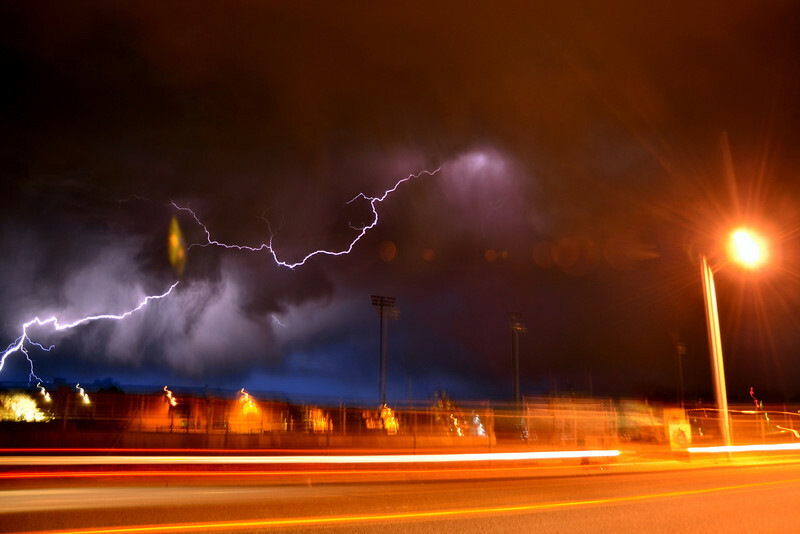 I love how everything in the photo ended up with motion blur except for the quick strike of lightning. It totally has given me new ideas for a few other shots I now want to try. Whoa, that is amazing!!! You've given me some ideas, too...thanks!! !